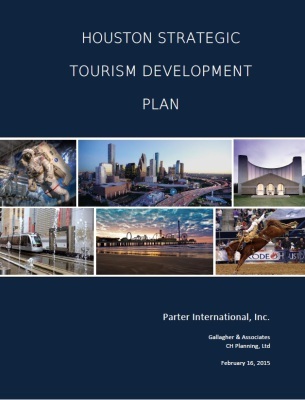 Houston First Corporation (HFC) retained Parter International to prepare a Strategic Tourism Plan for Houston and the surrounding region. The goal of the Strategic Plan was to ensure that leisure tourism becomes a major contributor to the area’s economic growth and prosperity, and to improve Houston and the region’s overall image as a tourism destination regionally, nationally and internationally. Our task was to analyze the current tourism environment by assessing and evaluating leisure tourism activities, resources, and potential for Houston and its surrounding region. Our work took place concomitant with the strategic alignment between HFC and the Houston Convention and Visitors Bureau. We analyzed and assessed the region’s attractions, tourism infrastructure, marketing, and organization. For the purpose of this project Parter International prepared a detailed SWOT analysis -describing the findings of primary and secondary research as well as a comparable cities study-comparing Houston’s tourism environment to six similar destinations. We also arranged for the preparation of an additional Tourism Economic Impact Study. In order to provide a set of strong recommendations, we conducted 54 individual personal interviews with community leaders, conducted multiple informal interviews with locals, and visited more than 40 attractions in Houston and the region during the 38 person days we spent onsite. Our stakeholder (public participation) efforts included creating a working group of local experts, making presentations, and briefing community leaders. Our report recommended and prioritized short, medium, and long term implementation strategies. 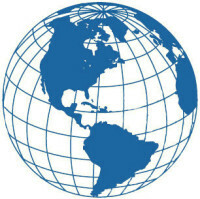 We were subsequently retained in the launch and implementation of the Strategic Plan. Houston First Corporation (HFC) has embarked on a strategic path toward making the Greater Houston area a more competitive, vibrant, and attractive destination for leisure tourists. Parer International was involved in planning of a Tourism Summit, which took place on September 10, 2015. The Summit was designed to involve, inform, educate, and excite those organizations and individuals with the potential to support HFC’s efforts and become partners in this endeavor. More than 500 tourism professionals, community organizations, elected officials, and educators attended to discuss the importance of leisure tourism and to become more engaged in leisure tourism related initiatives. Experts from around the US spoke in nine different panels, and the award-winning travel journalist, Peter Greenberg, delivered a stimulating, provocative, and informative keynote address.